We are Dallas, Texas Criminal Defense Attorneys dedicated to fighting for you in state & federal court. You need an attorney who has the experience, skills, and confidence to take your case to trial, fight for your rights, and win your case. Warren Abrams & Joshua Abrams are experienced criminal, personal injury and DWI lawyers who will treat your case in a personal way that respects your dignity and individuality while fighting for you to the utmost – in trial and settlement negotiations. Please contact us if you would like to schedule a free initial consultation. We accept payment plans and credit cards. We are dedicated to fighting for you in state & federal court. Whether you need a Dallas DWI lawyer, criminal defense attorney or personal injury lawyer, we have the experience, skills, and confidence to take your case to trial, fight for your rights, and win. Warren Abrams & Joshua Abrams will treat your case in a personal way that respects your dignity and individuality while fighting for you to the utmost – in trial and settlement negotiations. Let me start by saying that Warren Abrams is hands down THE BEST defense attorney in Dallas. Don’t be fooled by other lawyers with their catchy gimmicks and crazy commercials. Mr. Abrams is the real deal. When he says that he will fight for you, he means it. He, and his son Joshua Abrams, successfully defended me against my DWI arrest which resulted in my case being COMPLETELY DISMISSED!! I couldn’t be happier with the outcome and I have Warren and Joshua to thank for that. Take it from me, If you have legal troubles you’re going to want these two heavy hitters in the courtroom with you. Their hard work and perseverance throughout the entire length of my case was what put me at ease. I’m going to tell everyone who will listen that justice prevailed, and that they were the law firm that made it happen. With that being said, I sincerely thank you Mr. Abrams along with your entire legal team. Keep up the great work!! Choose a lawyer who defends your rights! When you are facing a DWI or criminal charge, you need a criminal defense lawyer who has the experience, skills, and confidence to take your case to trial, fight for your rights, and win your case. Warren Abrams & Joshua Abrams will always treat your case in a personal way that respects your dignity and individuality, while defending your rights to the utmost. They understand that this is a very scary experience and will walk you through the process every step of the way in a caring, professional manner. Warren Abrams has a reputation as being a successful Criminal Defense Attorney & DWI Lawyer in Dallas, Forth Worth, Denton, Plano, McKinney and other North Texas communities. As a former Chief Prosecutor with the Dallas County District Attorney‘s Office, Warren Abrams has a unique insight into how the District Attorney’s Office prosecutes cases and will use that knowledge to your advantage in giving you the very best representation. As a Texas Trial Attorney and Texas Criminal Defense Attorney, Warren Abrams will put his 30-plus years of trial experience to your advantage in putting you in the best position to win your trial. The reality is that most lawyers are afraid to go to trial and would prefer to plea bargain your case. Warren Abrams & Joshua Abrams, on the other hand, love the courtroom and know how to win in trial. The overwhelming majority of cases Warren Abrams & Joshua Abrams receive are referrals from other attorneys whose clients want to go to trial and referrals from clients who were very satisfied with the positive outcomes of their cases. 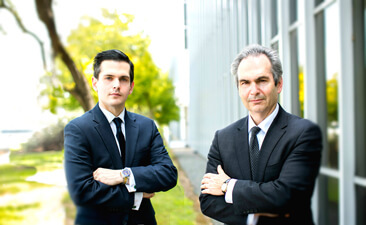 Among their peers, Warren Abrams and Joshua Abrams are respected by defense lawyers, trial lawyers, prosecutors, and Judges throughout the State of Texas. Warren Abrams Trial Law has a stellar reputation in the courtroom for winning and taking care of business. 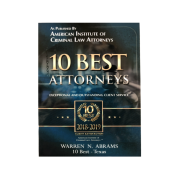 For many years, Warren Abrams has been honored by being named a top criminal defense attorney in Texas by Texas Super Lawyers magazine. Warren Abrams is admired by peers for his courtroom skills, qualities, and achievements. It really comes down to this: When you go to trial, you want a Board Certified Criminal Lawyer and former Assistant Dallas County District Attorney with a record of honesty, experience, skill, and confidence. That lawyer is Warren Abrams. When you have trouble with the law, you need a Texas Criminal Defense Attorney, a Texas Trial Attorney with honesty, experience, skills, and confidence to take your case to trial and fight for your rights. You will find that attorney at Abrams Trial Law. Warren Abrams is Board Certified in the area of Criminal Law by the Texas Board of Legal Specialization. Warren Abrams has been a Board Certified Criminal Law Specialist since 1988. Warren Abrams is also Board Certified in the area of Personal Injury Trial Law by the Texas Board of Legal Specialization since 1995. When choosing a lawyer to represent you in court, why not choose a Board Certified Attorney over an attorney who is not Board Certified? Only 5% of attorneys in the State of Texas are Board Certified. Warren Abrams has again been honored by being selected as a top criminal defense attorney in Texas by Texas Super Lawyers® magazine. Only five percent of defense lawyers in Texas are named to the Texas Super Lawyers list. 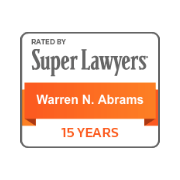 In addition to being selected in 2018, Warren Abrams was picked by Texas Super Lawyers every year since 2003, that is 16 consecutive years. 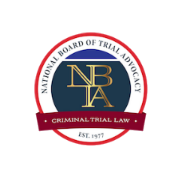 Warren Abrams has also been selected for Certification in Criminal Law by the National Board of Trial Advocacy for 25 years. Why would you choose anyone but a Board Certified attorney to help you with your legal issue? Board Certified attorney are specialists in their area of practice. 1Compiled from statistics available from the Texas State Bar Association and the Texas Board of Legal Specialization. 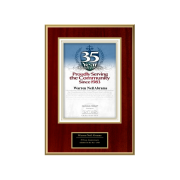 Warren Abrams is AV Preeminent Rated by the Martindale-Hubbell® Peer Review Ratings™ Service. 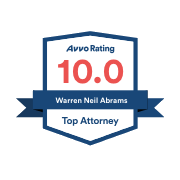 AV Preeminent Rated is the highest rating available to an attorney. 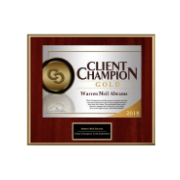 He was also awarded 2018 Client Champion Award by Martindale Hubbell. 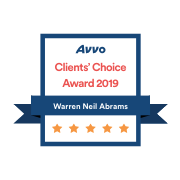 Warren Abrams is AV-rated by the Martindale-Hubbell® Peer Review Ratings™ Service. AV Preeminent Rated is the highest rating available to an attorney, giving high marks for both skill and ethics. The Martindale-Hubbell® Law Directory has provided professional information on the legal profession for more than 100 years. Clients seeking an attorney often rely on this directory when evaluating a lawyer’s legal ability and professional ethics because the rating reflects the opinions of members of the Bar and Judiciary. The rating are taken from the confidential opinions of members of the Bar and the Judiciary. Martindale-Hubbell personally interviews peers when reviewing an attorney and publishes the consensus opinion. General Ethical Standards for “adherence to professional standards of conduct and ethics, reliability, diligence and other criteria relevant to the discharge of professional responsibilities.” A lawyer must receive a General Ethical Standards Rating before his or her review can proceed to the next step. When both categories of Martindale-Hubbell Peer Review Ratings are confirmed, a lawyer receives an CV®, BV® or AV® rating, with AV being the highest available. Warren Abrams is a frequent lecturer at attorney seminars, teaching lawyers trial advocacy skills. He is a volunteer teacher at a local high school, teaching Texas Mock Trial and law to high school students. Experience matters. 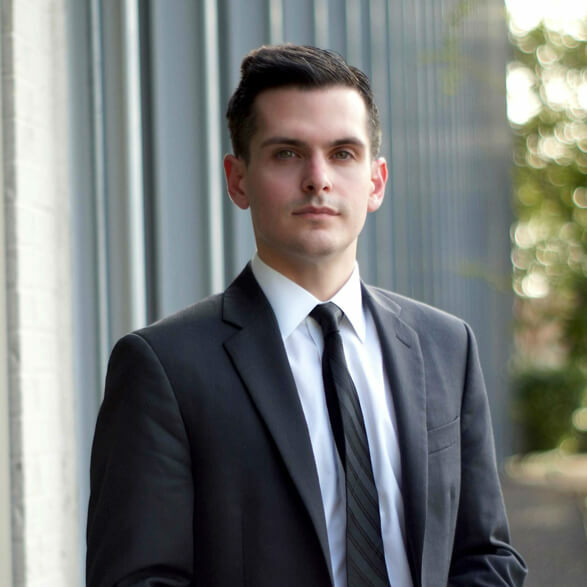 As a former Assistant District Attorney and felony prosecutor for the Dallas County District Attorney’s Office, Joshua has tremendous courtroom experience fighting difficult cases. Joshua is also experienced in civil litigation, having worked complex cases in the field of insurance defense. 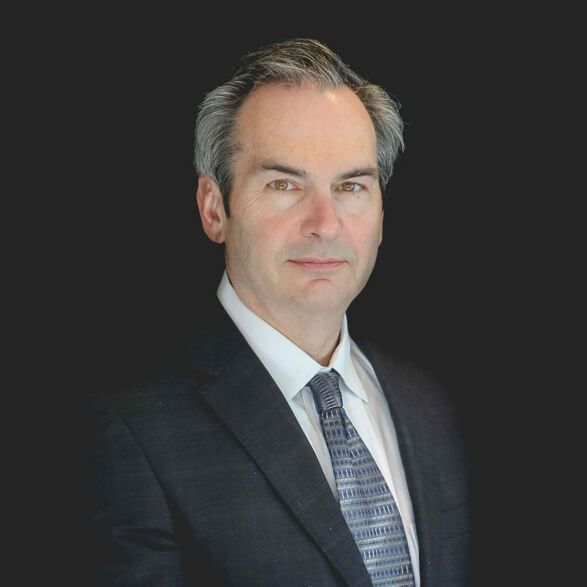 He brings the same aggressive courtroom approach to his advocacy for clients in criminal and civil proceedings throughout state and federal courts. Joshua has been recognized as a Top Jewish Attorney Under 40 by the Jewish Federation of Greater Dallas, and is active in the legal community. He has been appointed to the State Bar of Texas Civil Liberties & Civil Rights Section Council, and has written articles and lectured for attorneys throughout Texas on topics such as legal ethics, prosecutorial misconduct, and interpreter-based testimony. Joshua is also active in high school mock trial and mentoring programs.